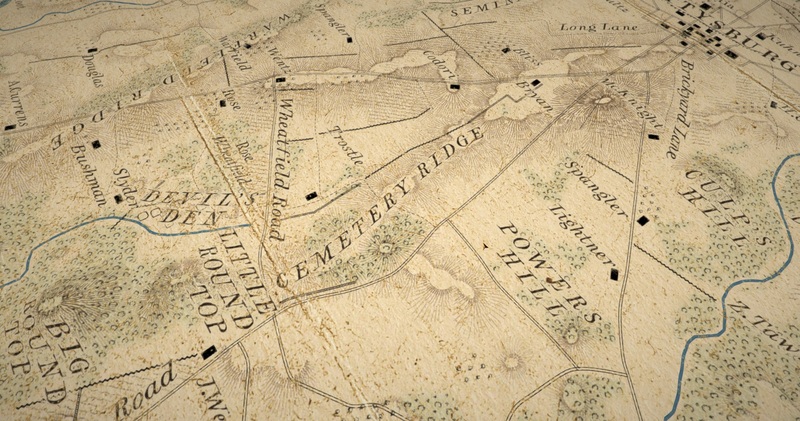 The campaign map is designed to include all the most important theaters of the American Civil War, and to allow utilizing historical strategies, like Scott’s Great Snake, to win the war. The campaign will be dynamic, and will not force the player to follow any certain path to victory, so there is enough space to devise your own plan as well. The map itself is an open 3D terrain, just like the battle maps. Same tools as in the battle layer are used to make the armies and fleets interact with the map and terrain. This means that dense forests, swamps, mountain ranges and wide rivers will have a real effect on troop movements. The road network is more scarce in the west, with distances being longer in general there, limiting campaigning with large armies considerably – as the armies will need to be supplied. 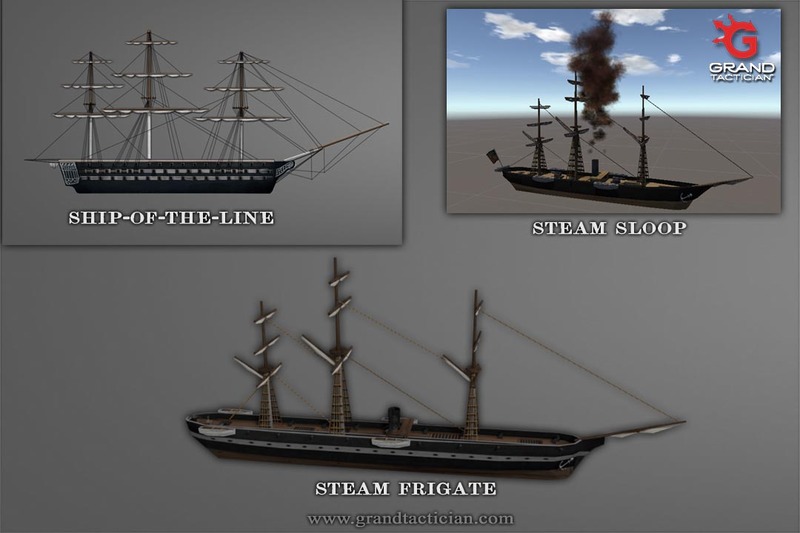 While on one hand the great rivers will be an obstacle, on the other hand they will provide movement options, if steamers and gunboats are available, and if the enemy fortifications along the waterways can be captured. 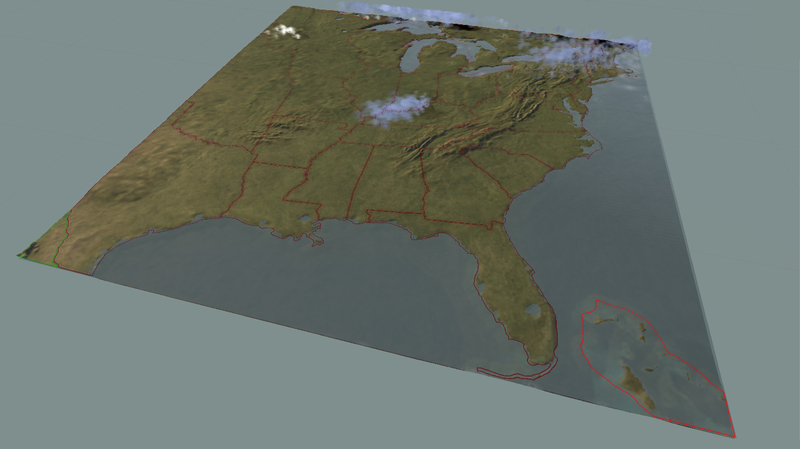 To get the campaign map right, we’ve used real elevation data in making the heightmap. On this terrain, we have built and incorporated data such as climate map, forest map, maps of rail-lines and road networks and most important infrastructure like cities, towns, ports, bridges, ferries, etc. – with the scale of the map taken into account. For the states and cities we use historical population data from the censuses. 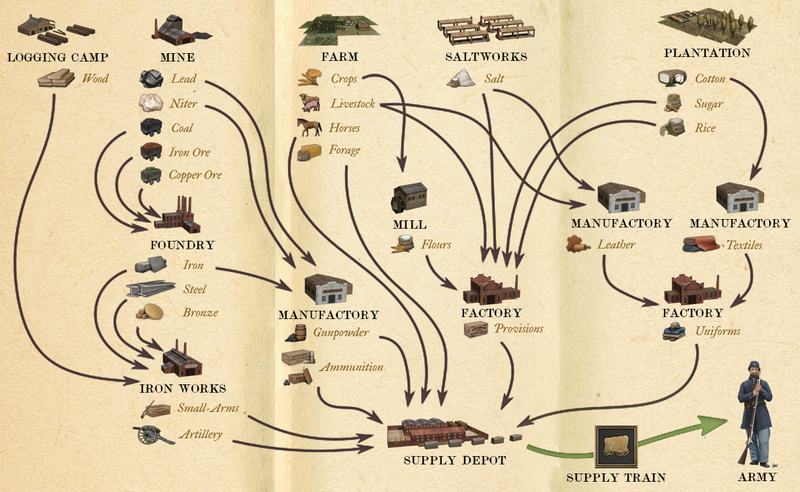 All in all, the map will include a wealth of researched information, and this will allow us to bring the map alive later in the development, with production, dynamic economy, trade, and more. In addition to the 3D map itself, be sure that our map-specialist, Wasel, is working on a hand-drawn, period-inspired paper map, like the ones you’ve seen in the battles. Borders. States. Border States. Fronts. Before, and during, the Civil War the political map of The United States changed numerous times. Territories were re-drawn and eventually incorporated as new states and the 19th century saw mass movement of immigrants to the west, seeking better fortunes – and gold. While the white man moved west, the native tribes were pushed aside, eliminated or confined. By 1850s the area depicted in the campaign map had seen the forced relocations of native tribes, the Trail of Tears, to west of the Mississippi, to modern day Oklahoma. While most changes were in the mid-west and west, the war saw also changes in the east, the biggest being the partition of Virginia. 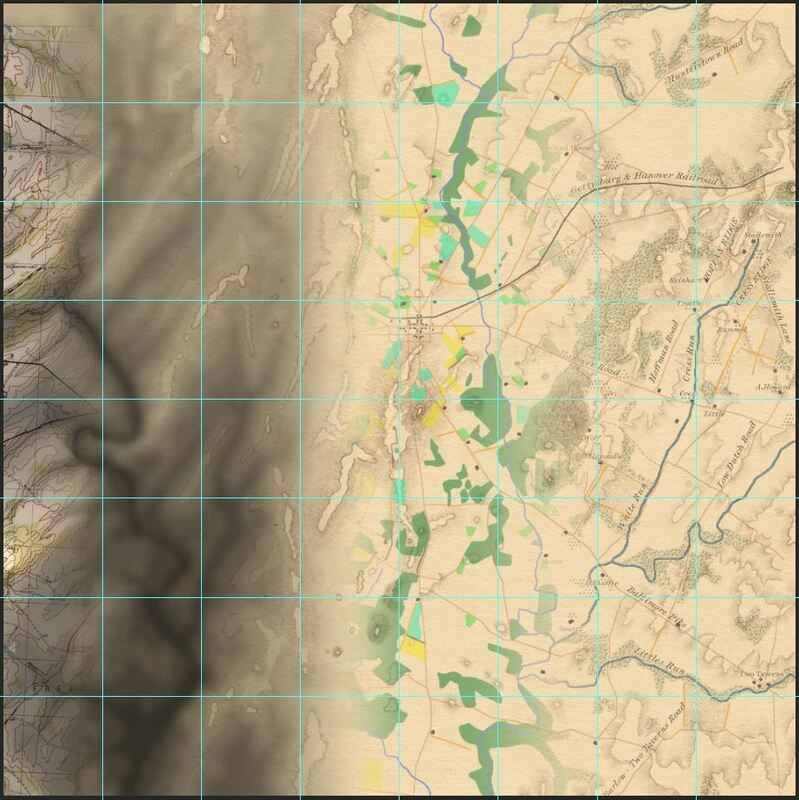 For this reason we incorporated a border system in the game, where the political map of the Civil War can change during the campaign. While the changes will be historically driven, like admission of Kansas from a territory to a state, it will not be set in stone, whether the people of the brand new state will follow the call of the Union. Ownership of the states will not be a either-or. Especially the border states can have much (or little) sympathy to both sides of the conflict, and the actual “front line” will not strictly follow the state borders. A state can therefore provide recruits to both sides, depending on the local support. And the support of the states could well change during the campaign. And of course there will be tools to prop (or lose) the support in the states. For example, appointing local political figures to lead your armies in the field may ensure state loyalty in the short run. But can they provide the leadership required, without personal clashes with others? High casualties among troops recruited from the state, drafting and raiding, among other things, can demoralize the population and even force them to abandon the cause. And while the native Americans have been pushed aside for decades, the new strife could see both sides trying to win their support. The campaign map will not cover the whole North America, let alone the World, but the map is not isolated from the rest of the world. Both sides of the war can interact (via politics) and trade (via trade nodes) with other nations. And trails, like the Oregon Trail lead west, where there is much to trade. And of course, this trade, or prevention of it, could be a key element in your campaign strategy. 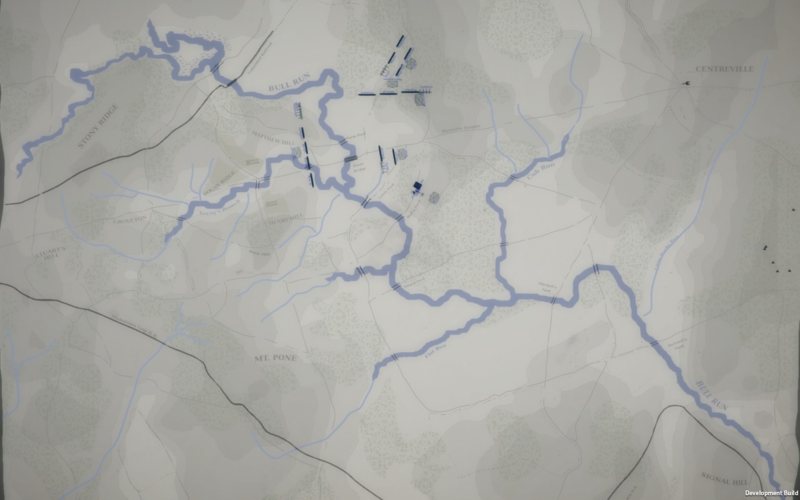 One of the quite unique features in The Civil War (1861-1865) campaign map, and campaign itself, is the weather. While in battles weather plays a role, as explained in the previous game-play video, on the campaign map weather may well ruin your otherwise brilliantly planned military campaign, or save you from a disaster. The weather of course cannot be planned, and even forecasting is very difficult. The end result could easily be another mud march, with the movement snail-paced, the men being miserable, and increasing amount of troops falling sick or deserting. To achieve a realistic weather simulation, we incorporated information such as annual averages for temperatures, humidity, chance of rain and snow coverage on the campaign map. Then our coder, Oliver, taught himself a thing or two about meteorology. The end result is fully dynamic weather system across the whole campaign map, where weather fronts are created and move according to real-world data. There will not be any kind of universal weather, or pre-defined weather zones. Instead, the rain and thunder storms gather, move around and scatter dynamically during the campaign, adding to the excitement, as you will never know what to expect. Except if you know a thing or two about meteorology, then you can make educated guesses. And it’s not all about rain and misery either, temperature plays a role as well, including the chance of snow during winter time. So, in the end, when moving your armies and fleets around the map, you may hit a weather front that makes life miserable, and when engaging in a field-battle, the information is carried over to the battle weather system. In the above image you see the dynamic weather system in action: the rain and thunder storm clouds are shown over the landscape. Also drawn are the political borders – but from what year (and could this be a hint of some sort)? The Focus is in the Campaign. So far we have discussed mostly the battles in the game, and mentioned the campaign mostly in sidenotes. Many followers have approached us, asking, whether the campaign will be simply a continuation of battles according to outcomes, or a rigid system that runs as the history did. Can the player recruit troops and appoint commanders as he wants? Hopefully the above description sheds some light on this topic. As I am writing, the basic map functions, discussed above, have been implemented and we are populating the map with terrain features like rivers, forests and swamps, and game objects like cities, towns, and infrastructure. Next steps will be to make the campaign game-play come to life, by adding the UI, economic model, politics, and so on. We will visit these topics in later dev blogs! Navy and river fleets are assembled under a navy officer, and will be moved on the campaign map just like armies. The river fleets can operate along major water-ways like Mississippi -river, but cannot move to open sea. Navy fleets navigate the salt-waters, but if small enough ships, especially double-enders are available, they too can go up a major river. The fleets can engage other fleets, bombard armies and fortifications, and take part in sieges. This allows joint operations, like those that took place in the West or maybe a naval maneuver like Peninsula campaign. Navy fleets can also be used to blockade enemy ports. Transport fleets are maintained to move your armies over, or along water. Depending on the size of the transport fleet, troop concentrations can be conducted faster. Transport fleets also take care of supplying your armies over sea. When boarding the transport ships, troops reserve capacity from the transport fleet, and if out of capacity, movement becomes very slow, due to need of many back&forth voyages by the transports. When boarding the transports, the army on campaign map will be replaced with a ship, that is moved on water. The armies can land to siege enemy forts and to raid valuable targets deep in the enemy territory, but getting attacked by an enemy fleet could be disastrous. Trading fleets operate from the ports, number of ships depending on the size of the ports. This is all automated, so player does not have to worry about it. Unless blockaded by the enemy, of course! As fleets blockade a port to intercept trade, the port trading capacity will go down, and prices up. This will hit the economy – a major target for either side. To counter this, player can try to attack the blockading fleets, or try to run the blockade. If player purchases blockade runners, more of the trade gets past the blockading fleet, but number of the blockade runners will be captured over time. Regarding blockades, it’s not only an economy issue. It’s also political. In Europe, there’s big demand for cotton in the textile mills. But also the European superpowers use blockading as a strategy, and to keep this weapon in use, they also need to consider blockades, especially very strong ones, legit, which could prevent them from taking action, if otherwise seen appropriate? From Timber to Iron Plating. When the war started, the U.S. Navy was not very large, as was not the regular army. Technology in ship design had taken big leaps, and the wooden colossi of the high seas, ships-of-the-line, were already being rendered all but useless, in the face of steam powered ship that didn’t need the wind to maneuver, and the iron plating that could render a thundering broadside into base of percussion at best. But while these monsters are available, the player could try to utilize them to more than receiving new recruits in the ports? 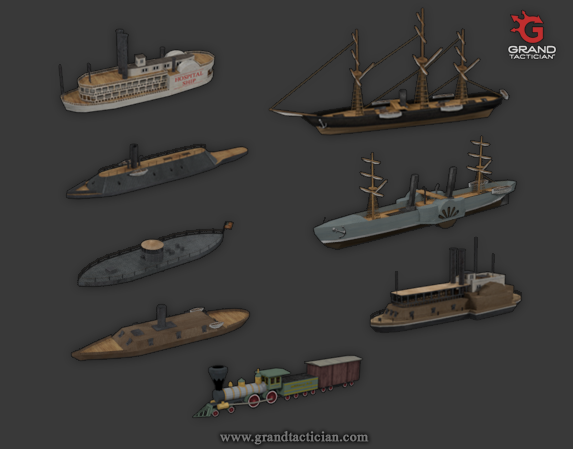 In the game we have a broad range of ship types available. From the humble schooners to sloops and frigates, and of course the legendary paddle-steamers moving up and down the rivers. Over time, with the needed technology and industry in place, the ships can be upgraded, and new ones built, into steamers and various kinds of ironclads, from the case-mate rams to turreted Monitors. While building the ships requires a level of industrialization and material, keeping the fleets going will also require something to burn: from coal to foodstuffs and ammunition. The fleets do not have infinite days at sea, but require ports to replenish and repair. In case the industrial potential is not there, maybe a bale of dollars could procure a state-of-the-art warship from the European friends? Or maybe someone is crazy enough to line a ship with cotton-bales for even some additional protection? And how about a ship that moves under water unseen? In Grand Tactician, naval combat is resolved on the campaign map. In the battles the number, type and size of ships and guns is taken into account, as is the armor plating and close-up ramming. In the end, ships can change ownership multiple times during the campaign, and sometimes it’s better to scuttle a valuable ship than let it fall into enemy hands. And then there’s chance. A lucky hit in the steam engine could end in a catastrophe, and while armor plating could withstand a seemingly endless amount of punishment, a lucky shot could disable a turret in a Monitor, rendering it next to useless in the battle. And even if you as the north could dominate the southern fleets, if the big players from Europe feel the urge to intervene, they would most likely bring up the big guns with them! The Troops Look Thin, sir. When we talk about graphics in Grand Tactician: The Civil War (1861-1865), we need to take a look at the game concepts and techniques first. One of our main goals in the game is to show this conflict in the biggest possible scale. For the battles, this means hundreds of brigades with many thousands of single soldiers and hundreds of cannons. All at the same time, all connected in an AI matrix – and all in real-time! 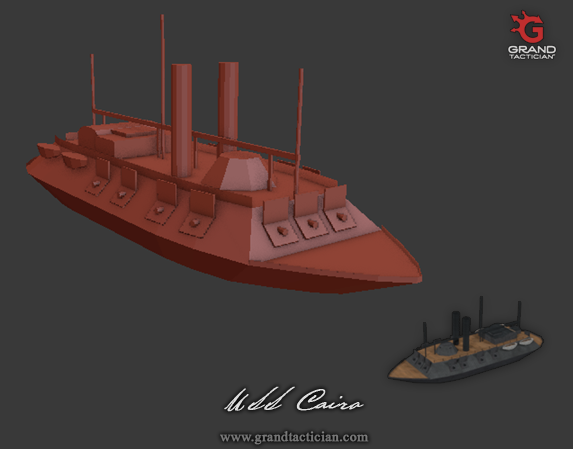 Our original idea was to present this all in 3D and use low polygon models for the soldiers, horses, and artillery. Unfortunately, the first engine tests showed us the limitations. But because we still want to keep the epic scale, we decided to change our initial concept and replace the low poly models for soldiers and horses with sprites. 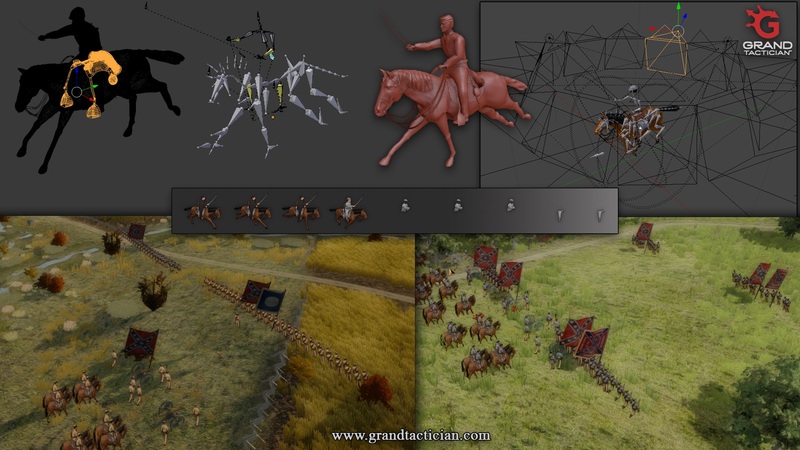 For this task, I created high polygon models for men and horse, with additional equipment and bone rigs for animations. Out of this, I created ~ 47 animations /stances for Infantry, Cavalry, Artillery and Others (Commanders, wounded, captured, &c.) split into three sprite sheets layers (Inf, Cav, Others). And because we wanted to have a fluid unit rotation, we “shot” every frame from 12 directions (12 cameras). This all limited the sprites to not more than 65 frames on one layer, meaning every animation or stance has limited amount of frames. On top of it, we split every sprite into 3 parts: jacket and hat/cape, trousers and all the rest. Why so? Because this allows us to color the different parts separately via code. After all this work, the first results were rather disappointing: Blurred, low detailed and strange moving soldiers occupied our battlefields. But our daily work with the Unity engine taught us how to solve most of these issues and to-day we are quite happy with the results – not only because of the improved looks, but also due to the low impact in performance, compared to other techniques. However, the balance between graphics and performance will always be a thin red line, and subject to improvements along the way. For those who get lost in this confusing technical part, the above title image shows a picture of all work steps and two different colored brigades. Furthermore, we spend some time on performance optimization. This allowed us to improve the terrain as well, while improving the FPS. More objects, better LODs (level of detail), detail distance, light, camera, and more.Together with sound and smoke, we could create an intensive battlefield atmosphere, even with our very low resources. And as always… work in progress! Testing, bug fixing and improving is ongoing all the time. In the last months, we´ve implemented all our battlefield features and we move now with full steam ahead with the campaign map. Ilja writes the campaign concepts and Oliver integrates the basic terrain and first features, like troop movement on land, rail and water, as well as telegraph lines, as you are reading this. One of my first tasks here are the naval and land units. Please keep in mind this is a very early phase of the campaign development and we have not yet finalized the final details. However, the campaign game-play will have naval movement for troops, overseas trade, blockades, and naval engagements. You will command paddle-wheel steamers, battleships and ironclads, traders and blockade runners, as well as troop transports on open sea and major rivers like Mississippi. 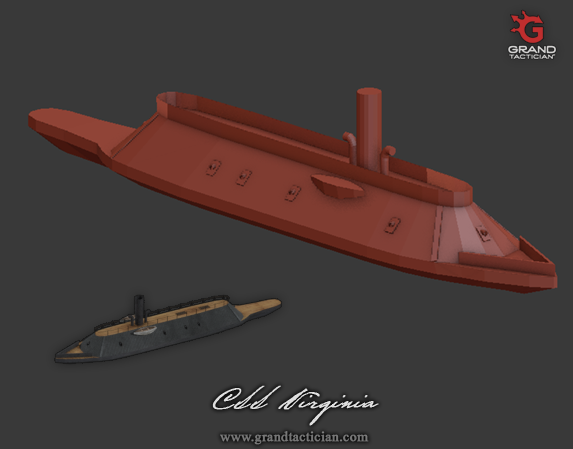 Most of the units will have a unique model for each side, like the USS Monitor or Cairo for the Union or the CSS Virginia for the Confederates. All models will have smoke particles for engines and guns firing, plus other small nice features. Even without a separate naval battle game-play layer (like in latest Total War -games), we´ll try to create a very exciting and important role for Naval Units and fleets. But we’ll discuss this in more detail in one of our future Engineers Corps Log!